Lots of logic should be handled in server-side. 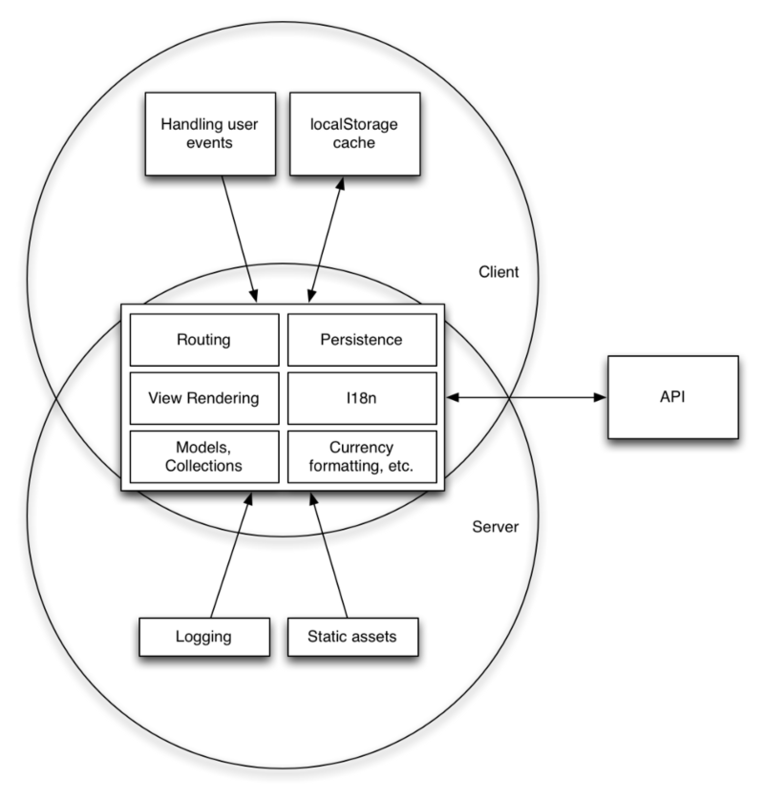 Handling Http requests, routing, rendering, styling and module loading can be difficult and external libraries would be needed in server-side rendering. They should be handled in the same way both in server-side and client-side. Server-side and client-side are different environments with different dynamics. Using same code may be problematic in different cases.